Putrajaya, a place where modern technology meets tradition! The Garden City of Putrajaya owns the world’s first intelligent garden as well as several of Malaysia’s official government buildings. The city is a hub that connects the past, present and future. Our half-day tour package let you experience the beautiful mix of traditional & futuristic architecture of the city. The atmosphere is very peaceful and touring around the city is an experience you will never forget. The city plan was built around an axis that goes from the Northeast to the Southeast. It’s built on an undulating terrain which is an ideal location for vegetation. You will pass by botanical gardens, wetlands and large bodies of water in your tour the city. The Putrajaya Lake is the biggest body of water in the city and includes five confluences that all meet at the northern part of the city. Putrajaya is a man-made marvel developed using modern architecture and engineering giving it two labels, smart city and garden city. This development project was through the initiative of the fourth Malaysian Prime Minister naming after the first Prime Minister of Malaysia. Putrajaya has a total area of over 4,581 hectares with a beautiful mix of traditional and futuristic architecture giving the city its unique charm. A lot of people have compared the city to a resort due to the unusual structures found in the area. The atmosphere is very peaceful and touring around the city is an experience you will never forget. Construction for this area took a lot of planning which resulted in multiple sights, nature parks, shopping centers, water parks, and a museum. These structures have meshed seamlessly within the area where government buildings were constructed for the administrative center. The location is in the Multimedia Super Corridor route of the city. This self-contained city boasts communication buildings and infrastructure technologies that support full integration. Government machinery was directed to it so that all operations would be efficient to fulfill the 2020 vision of the government. Due to the fast-tracked development, Putrajaya has become a major attraction in Malaysia. Tours around the city can be seen on the regular. 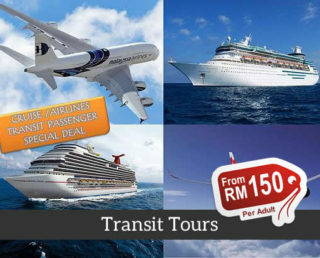 Tourists can avail of our private tour (described below) for a unique experience. 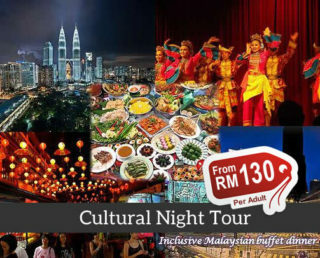 With our tour, you get to visit seven stops which cover all the major attractions in Putrajaya. It comes with a driver and vehicle with the driver serving as your tour guide as well. You can also request a vehicle that has wifi so you can update your social media as you go around Putrajaya. This is a center for religious worship for muslims with the mosque being able to accommodate around 15,000 worshippers inside. Inside, tourists can go to the prayer hall and function rooms known for their elegant features. There is also a courtyard where you can see several water features inside a border made of colonnades. Also known as, Perdana Putra, the prime minister’s office has a central view of Putrajaya. It’s architecture is influenced by several cultures including Malay, Islam, and Western put together by the renowned architectural firm aQidea Architect. Our tour also has a scheduled drive-by along Persiaran Seri Perdana which is the official address for the residence of the Prime Minister of Malaysia. Guests can stop to take pictures and marvel at the palace-like structure atop the hill with similar architecture as the Perdana Putra. Putra Square is the main city square in Putrajaya and can be found just across the office of the Prime Minister of Malaysia. The Malaysian Independence Day Parade is held inside this 300-meter circular area along with several other popular festivals. Guests take a lot of pictures here. This majestic building is known locally as Istana Kehakiman and is the center judiciary work of Malaysia. Aside from the judicial offices and courts, the courtyard is used for special events like the Colours of Malaysia Festival. It provides the perfect backdrop for some picture-taking as well. The Millennium Monument, also called Monumen Alaf Baru, is a towering gold/bronze structure and is a major landmark of Putrajaya. People love to take pictures here because you can include the Putrajaya lake in the background as well. Found in Jalan Utra in Putrajaya, the Beryl’s Chocolate Kingdom is one of Beryl’s largest outlets in the country. Beryl is an international brand known for producing fine chocolate which guests can purchase some of during the stop over. This is perfect for guests who have sweet tooths. Don’t forget to book our Putrajaya tour to see all the wonderful places inside the most modern city in Malaysia. You do this by visiting our website and do the booking online. It is that easy. And once you’ve done that you can go visit Putrajaya right away! 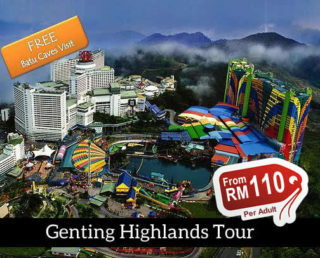 I am a local but only enjoyed Putrajaya when I decide to book in here. Everything is convenient, from pick up to drop off. More Malaysians should see the rest of the country, and start with Putrajaya. My booking with this website was kind of short notice but they were kind enough to book me. The car I got was even in very good quality, and my driver was friendly, constantly asked me if I’m hungry already. Lol! The entire Putra Jaya town is a tourist spot, in my opinion! 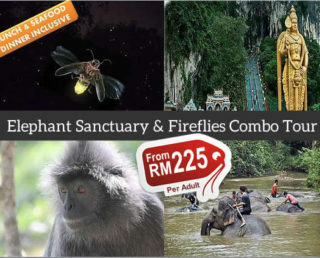 Business turned leisure in Putra Jaya c/o mytravellane! Don’t forget to have a souvenir photo at Putra Mosque! It’s wonderful architecture. If you have time, ask your driver to drop by the Choco Kingdom, also! It is definitely worth a visit!!! 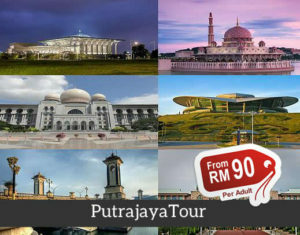 We got an affordable tour of Putrajaya from MyTravellane and it didn’t disappoint. We got to see the important spots and took photos to document our experience. We got picked up in our hotel and dropped back when the tour finished. Malaysia’s administrative district had a surprising beauty to it. Thanks to MyTravellane I got to see it! The tour guide was very informative. just have some feedback; it would be much more better if the tour provide us the destination information brocures and mineral water (or snacks) in the car. The trip to the city and the agricultural ruins park to make me an eye-opener, for the first time to see the durian tree, coffee tree, cocoa tree, rubber tree. The magnificent building of the pink mosque is also a must. In addition, the leadership of the enthusiasm and professional introduction so that my promotion is not knowledge, thank you! We had a good time. Though it was a walking tour and it really was quite hot the whole time, we learned a lot about Malaysia. Great guide on the putrajaya.nicely view and scheduling. The tour guide is really friendly. At the time of driving, there is always an explanation of Putrajaya attractions. To be honest,The magnificent building of the pink mosque is also a must. In addition, the leadership of the enthusiasm and professional introduction so that my promotion is not knowledge, thank you! Great guide on the putrajaya. We have lot of fun. The driver was very kind and helpful. Arrived on schedule and the booking processed was very easy. We enjoyed this tour since it became a private tour with only our group in the van. We enjoyed the Agricultural Heritage park tour.Recommending this tour for travelers to Malaysia! We enjoyed this tour , the putrajaya. nicely view and scheduling. The tour was great .Great guided on the putrajaya. nicely view and scheduling. Thank you My Travellane You made my vacation wonderful. Trip arrangements are great Pick up in time.The pink mosque is beautiful, but it is really hot to wear a robe. Amazing area .Great exhilarating city tour! It’s such a beautiful place! The tour was great. Driver who acted as the tour guide was informative who could even speak Japanese because there were 2 Japanese in the group among the 4. He tended to speak in Japanese more than English / Chinese. If he could balance both languages even better. To be honest, this trip is not worthy of recommendation. Although the lead tour guide is very good, but only the pink mosque is more attractive to rest, cloth city and agricultural site park is less attractive. Amazing area and the gentleman with us was very kind and proactive and give us too much information about the area. TYou made my vacation wonderful. I’m so happy we booked the tour. We learned a lot from our driver/tour guide.